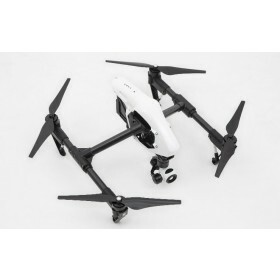 The DJI Inspire 1 V2 QuadCopter is a very easy system to use & fly; almost anyone could pick up the DJI Inspire 1 V2 and learn to use it quickly. 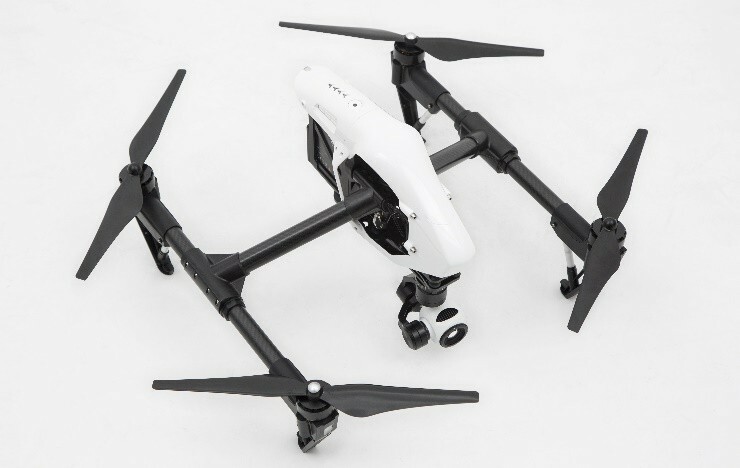 The Inspire 1 V2 has landing legs which rise up after take-off to allow for a full 360 degree view from the camera without any obstruction seen on may other systems. 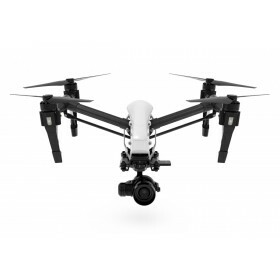 One of many new features seen on the Inspire 1 V2 is the use of a ground facing camera, this additional camera is used for position holding when low the ground, or when there is no GPS signal, the camera tracks the surface below and keeps the Inspire 1 V2 stabilized, even indoors! 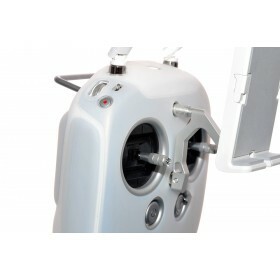 The downward facing camera is also used to lower the landing legs when the craft lowers to the ground. 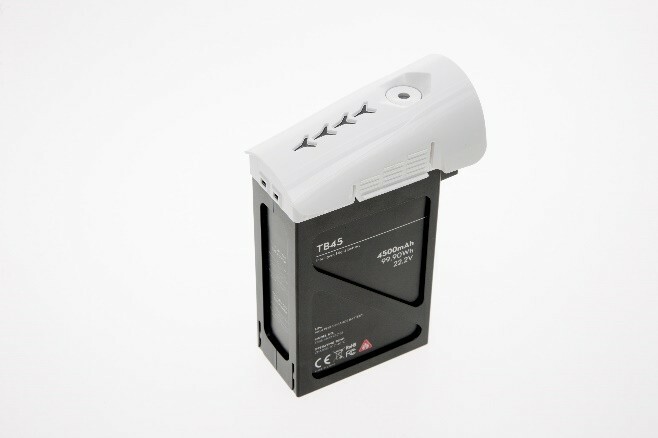 The Lipo battery used in the DJI Inspire 1 V2 is a fully integrated smart battery; the remaining battery power is shown in real time and advanced algorithms calculate the distance of your aircraft from the home point and the estimated time to return home. 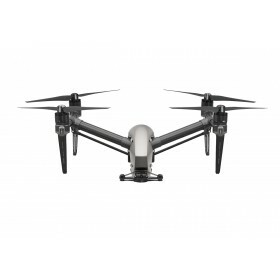 This new feature allows you to gain the most flight time from your Inspire 1 battery before returning to home. 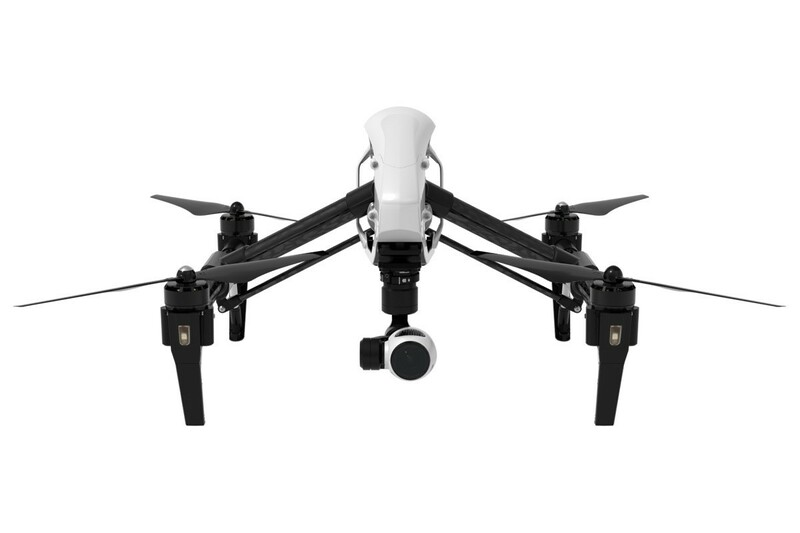 The controller for Inspire 1 V2 is the most sophisticated remote controller to date from DJI. The inspire's remote controller features dedicated buttons for photo and video capture, gimbal control dial, an integrated rechargeable battery and more. 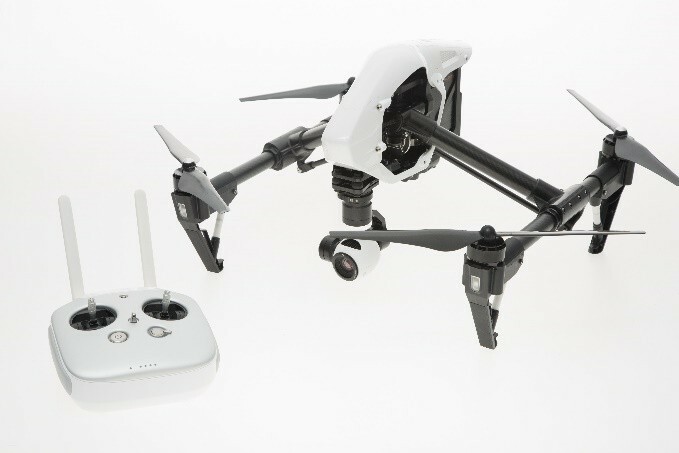 The design of the Inspires remote controller makes it easy and intuitive to use and control the Inspire 1 V2 while in flight. 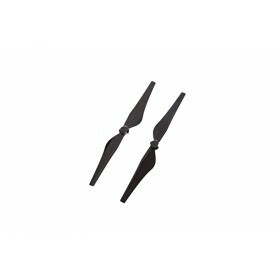 For an even greater level of precision, you can use a second remote controller and fly with a friend or co-worker. With two people controlling the same Inspire, one person pilots the flight path while the other takes control of the gimbal and camera control. Each user can have a screen to see exactly what is being shot in real-time. By working in tandem, you will be capturing shots that are more complex and artistic than ever before. 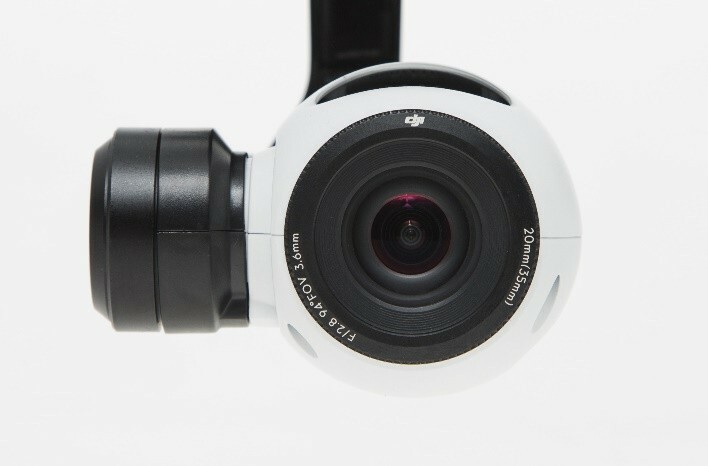 The DJI Zenmuse X3 Gimbal and Camera fitted to the DJI Inspire 1 V2 will shoot 4K video at 24-30 fps, or 1080p at 24-60fps and allow photographers 12 megapixel image files from the 1/2.3 inch CMOS sensor with a 94 degree wide angle lens, due to the stability of the camera mounted on the brushless gimbal the images and video footage that come straight from the craft need little to no post production. 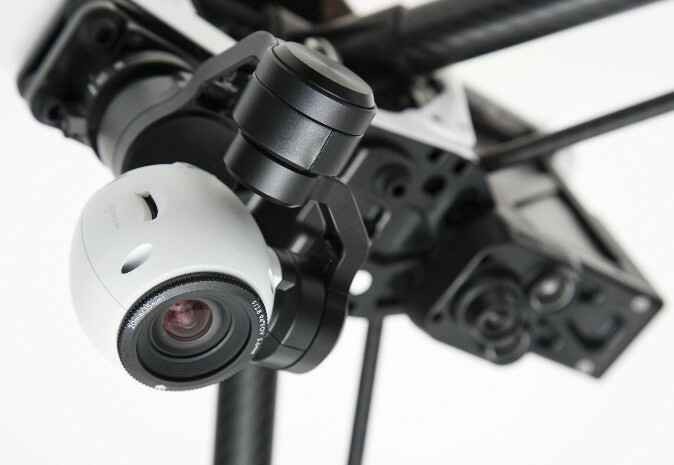 The option for a second operator to look after the camera while the pilot conducts the flight allows for the best possible synergy between the systems and operators, the real time video feed is delivered at 720p HD to the ground with the integration of the DJI Lightbridge system. The Lightbridge system allows for operations up to 1500 meters from take-off in optimum conditions.. 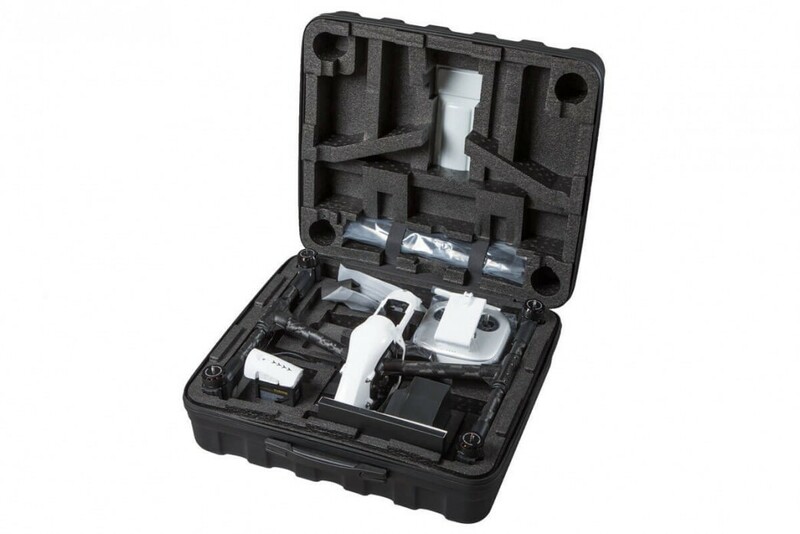 The Inspire 1 is a ready to fly system, when opening the box you will need to install the propellers, these are the self-tightening propellers which are very easy and fast to install with the twist locking top. 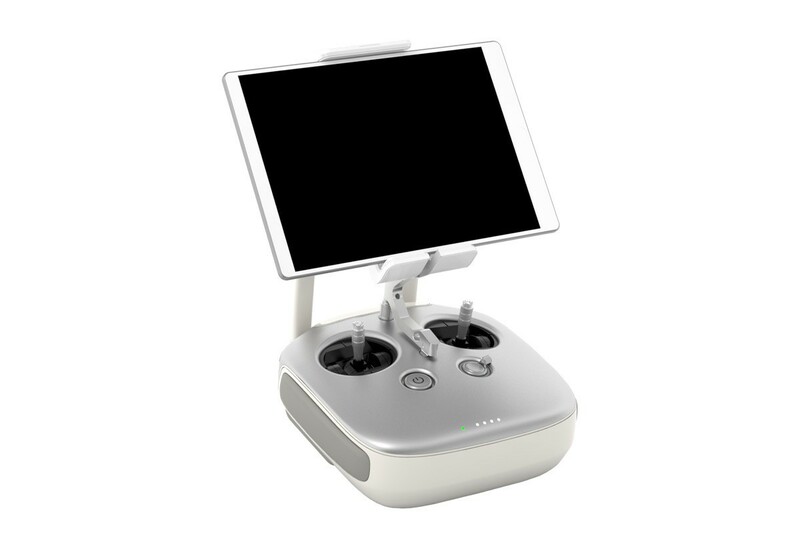 The use of an iPad App sees the system have all the functions that users look for, such as the one key take-off, home position return, waypoints (waypoints will be released in the near future in firmware update) and telemetry information to keep a keen eye on the battery voltage while in flight. 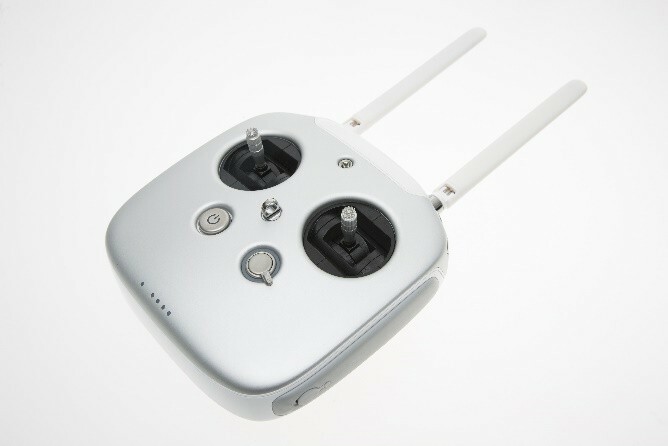 The DJI Inspire 1 V2 has another additional function not seen before, the radio controller can act as a home point, so if you were to walk away from the take-off zone the Inspire will know where you and the radio is to return there instead of the home point traditional used with home point lock and return.